Brick Town Talk: Amazing Interior - LEGO Town, Architecture, Building Tips, Inspiration Ideas, and more! 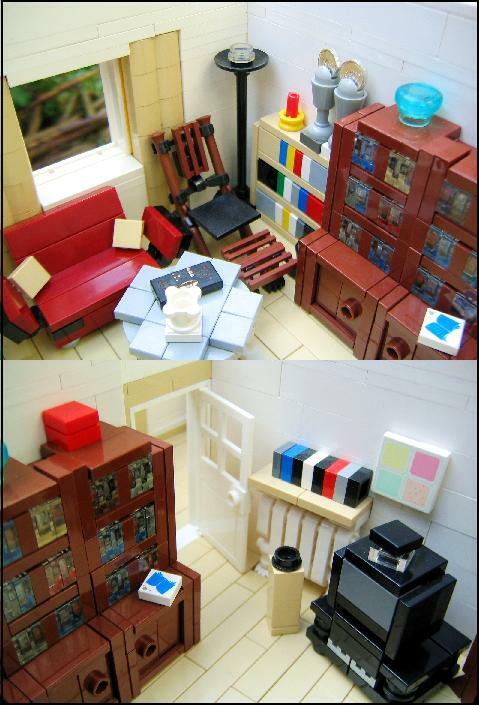 These amazing interiors were created by Brixe. I especially like the curtains and the red and brown chairs. I agree, these are amazing. My mind just can't seem to wrap around interior details right. At first glance it looked real.